Buying a Home and Real Estate in Morris County New Jersey, Denville Morristown Randolph Chatham Montville Parsippany Mendham Madison Hanover East Hanover Chester Morris Twp. With many years of experience and having helped over 1255+ Families Buy and Sell homes in Northern & Central New Jersey, Rahul, Smitha and their team have lots of experience representing a diverse group of clients, from Local New Jersey Buyers & Sellers to Relocation and International/Foreign Buyers, Sellers and Investors. Whether you are looking to purchase a home or a luxury estate, the Sotheby�s International Realty network excels at providing the highest level of service to our clients and their diverse lifestyle needs. With offices around the world and thousands of distinctive property listings, their global network is uniquely positioned to find the perfect home that meets your requirements. Rahul, Smitha and their team's goal is to build long lasting relationships with their clients, some of who end up becoming life-long friends. Having won many National and State awards over the years, they are exceptionally well-respected Realtors in the industry with high ethical standards and Glowing Reviews. Please Contact them, they are ready to go work for you and make your dream home a reality. From First-time Home Buyers, Families moving up to a bigger home, Luxury Home Buyers, Townhome and Condo Buyers, Real Estate Investors, our team has assisted all types of buyers over the years. We know how to make the whole home buying process simple and enjoyable, from getting pre-approved for a Home Mortgage to the Final Closing, we will be your Professional Guides. Just give us a call. The first step to buying a home is to get Pre-approved for a Mortgage by speaking to a Loan Officer or a Mortgage Salesperson. This will allow you to discuss with a professional how much you can borrow, which has a lot to do with how much house you can buy. Sellers like pre-approved buyers because there�s less risk the deal won�t go through. 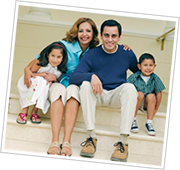 Our local Home Mortgage Experts are ready to guide you through the home buying process. They will Pre-Approve you for Free with No Obligations. Please Contact them today.